If you would like to read the first part in this article series please go to Mobile Device Management (Part 1). In the first part of this article we explored the basics of the new Mobile Device Management capabilities of Exchange 2010. We saw all the possible access states and how Exchange determines the state each device should be assigned. This second and final part will be hands-on as we will see how to configure and manage all aspects of Mobile Device Management. Although I will explain each method in this order for simplicity, remember that they are applied in the reverse order as explained in the Determining Access States section. Before we start, it is better to clarify the difference between a device family and model and how to get this information. The device’s family and model is communicated by the device itself to Exchange as part of the EAS protocol. Basically, the difference is that family is broader like Pocket PC while the model is more specific like HTC HD2 T8585 or Palm Treo 850. This distinction exists because many device manufacturers release the same device with different names on different carriers. As normally these logs have thousands of entries, it might not be easy to search them. A more effective method is to use the Exchange Management Shell [EMS] and the Export-ActiveSyncLog, Get-ActiveSyncDeviceStatistics or Get-ActiveSyncDevice cmdlets. The first reads a single IIS log file and exports the relevant information regarding EAS into 6 different CSV files. The ones we are interested in are the UserAgents and Users files as they include device models and families. The final method is to use the Exchange Control Panel [ECP] as we will see later in this article. This is the first step into configuring access levels. When Exchange 2010 is first installed, the default access level is set to Allow, which means that any device is able to automatically connect to Exchange as long as they comply with the EAS policy. This value can be set to Allow, Block or Quarantine by using the EMS or the ECP. With the EMS, we use the Set-ActiveSyncOrganizationSettings cmdlet with the DefaultAccessLevel parameter. UserMailInsert - specifies the text to be added to the e-mail message sent to users when their mobile device is blocked or quarantined. In this picture we can confirm the settings we configure using the EMS and the text that the user received when the mobile device was quarantined (Figure 1-2). The default organization settings will be applied only if a rule specific for a device or user does not match! Setting the access level to Quarantine at the organizational level, allows administrators to monitor which devices and users are making new connections to Exchange. This means that if there is no rule for a device or if there is no exemption for the particular user, then any unknown device will be quarantined. This process might be useful in cases where administrators want to gradually allow only particular devices that are supported and block all other devices. These rules allow administrators to control the access level of a group of devices based on their family or model. The easiest way to create a new rule is to use to the ECP by clicking in New... under Device Access Rules on the ActiveSync Access tab where we configured the EAS organization settings previously. In here you can click on Browse to see a list of all the device families and models that have already connected to Exchange. If this is a brand new installation of Exchange and no device has ever connected, these lists will be empty. In this case, the rule we just created is redundant as we already set the access level to Quarantine at the EAS organizational level settings. We can also create these rules from the list of quarantined devices. When a device is quarantined, we can select it from the list of Quarantined Devices and then click in Create a rule for similar devices.... This will open a window similar to Figure 2-9 where we can choose to Allow or Block similar devices. The rule will now appear in the main screen as the examples above. However, note that these rules don’t apply just for that user, but for everyone with identical devices! To check for any created rules, we use the ECP or the Get-ActiveSyncDeviceAccessRule cmdlet which will provide the exact same information as seen in Figure 2-13. Remember that if a device tries to connect to Exchange and there is no access rule in place that matches the user or the device, the default organization settings will be applied. The final method of controlling mobile devices is by creating rules that only apply to specific users. These rules allow administrators to either allow or block (you cannot quarantine) particular devices (based on the DeviceID) for a user regardless of EAS organizational settings or access rules. If a user tries to connect a different device that does not match an exemption, that device's access state will be determined by the EAS organizational settings or access rules. As with all previous methods, this one can be achieved through the ECP and through the EMS with the Set-CASMailbox cmdlet and the ActiveSyncAllowedDeviceIDs and ActiveSyncBlockedDeviceIDs parameters. Click Save to create the exemption. In the picture above, we can see that the Samsung device has been allowed to connect to Exchange because of the exemption we just created while the iPod is also allowed but because of a device rule instead. 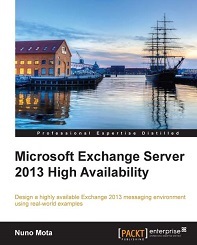 The new Mobile Device Management functionality of Exchange 2010 is a big step forward. However, with so many new MDM solutions out there, Microsoft should improve this even more. Maybe the next steps will be an easier way to control what applications can be installed on devices or being able to geographically locate a device if a user reports it as stolen. If you would like to be notified of when Nuno Mota releases the next part in this article series please sign up to our MSExchange.org Real Time Article Update newsletter.